Just over two years ago, I proposed an education agenda that was an alternative to the education reform status quo. I lamented the focus on vouchers and teacher merit pay and called for an investment in and support for proven initiatives that would move Tennessee schools forward. A lot has happened in Tennessee since then. The legislature even passed a very limited voucher scheme this year. The primary voucher vehicle, however, was defeated for the third consecutive legislative session. Despite Governor Haslam saying that Pre-K expansion might be a good thing, there’s been no legislative push to expand the state’s voluntary Pre-K program. The state did pursue (and win) federal funds to allow Memphis and Nashville to expand their Pre-K programs. However, State Representative Glen Casada did sponsor legislation (HB159) that would have prevented the disbursement of those federal funds since the application did not include all counties in the state. That legislation is on hold in the House Local Government Subcommittee. Between Casada’s bill and efforts by Rep. Bill Dunn, there is serious concern that Pre-K funding could be in jeopardy in 2016. Certainly, that means Tennessee won’t be talking about expanding its Pre-K program to serve all at-risk four-year-olds by 2017. This has not been done. Governor Haslam has appointed a task force to study the BEP and that group has yet to issue a final recommendation. In the meantime, a lawsuit claiming the BEP is inadequate was filed this year. In terms of both equity and adequacy, it appears the BEP is broken. There’s not a new BEP formula for 2015-16 and it remains to be seen if the Task Force appointed by Haslam will make proposals for meaningful improvements by the 2016 legislative session. Nothing has been done on this. At all. Governor Haslam did promise a teacher pay raise in 2014, only to back down when the revenue picture got a little less rosy. This year, the Governor’s budget includes $96 million in new money for teacher pay, but that doesn’t mean a 4% raise for all teachers. 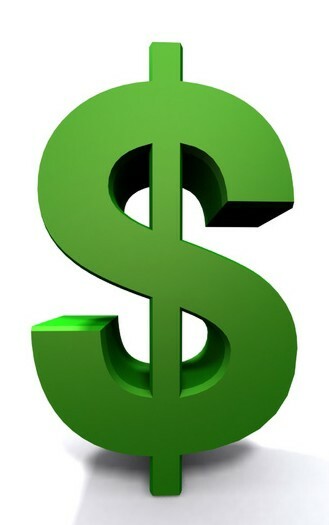 Tennessee’s starting teacher pay is nowhere near an average of $40,000, though State Rep. Jason Powell of Nashville offered a proposal to increase the BEP allocation for teacher pay by $10,000, at a cost of $500 million a year. Powell’s proposal would have brought Tennessee close to the goal of a significantly improved starting pay number for our state’s teachers. But, the price tag was deemed too high and the effort was delayed. There is much to do for Tennessee schools — efforts that would improve the classroom environment, provide support for teachers, add resources to students, and relieve the tax burden on local governments. So far, these initiatives have either not been discussed or have been put off in favor of education reform fads. There is another legislative session in 2016, of course. And there’s always hope that either a lawsuit or elections or both will cause the General Assembly to re-focus its attention on the investments our state needs to move forward. That seems to be the over-arching message from the Tennessee General Assembly as they continue to advance legislation designed to prevent those who disagree with the current “ed reform” agenda from having a strong voice. I can only speculate, but this looks like a quiet effort to continue the drive towards making the TEA irrelevant in the state. Pass this and one of the big draws of union membership, legal protection in the case of a law suit, suddenly becomes less important. The TEA does contend that teachers would still have to rely on them for legal fees according to the link cited above, but teachers wouldn’t need the liability coverage under the TEA any more as the state would provide it. It just removes one additional reason for teachers to join the union. 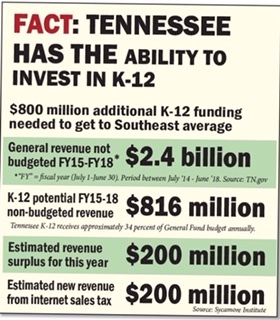 Weakening TEA and also Professional Educators of Tennessee (PET) weakens the organized opposition to much of what passes as education reform – evaluations based on suspect statistical methods and vouchers, as just two examples. This effort comes after just last week, an amendment was added to the state budget that was designed to limit local school boards in their efforts to seek more funding from the state. The General Assembly seems to be sending a clear message to those who disagree with prevailing education policy: Trust us, and stop complaining. All educators are pleased with the governor’s proposal if it puts aside the promotion of pay for performance based on test data. Student populations change and test data changes. The TVAAS system is based upon a formula that no one at the Tennessee Department of Education has explained satisfactorily thus far. A straight across the board raise would be a welcomed move by the governor, but only as a first step. Many education policies are in need of review by experienced educators. Sit with a selection of teachers that are not hand-picked and not in short-notice secret meetings. Let’s make real progress for the sake of our students. Together it can be done when both sides genuinely listen.